Did one of your favorite apps get deleted from an iPhone or iPad? We’ll show how to restore a deleted app in iOS, whether it was removed accidentally or intentionally. 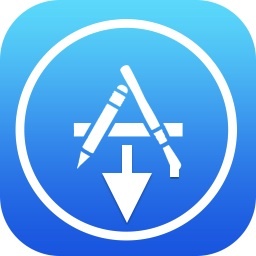 Many users don’t know this, but iOS apps can be restored and re-downloaded easily at any time, which means it’s no big deal if an app or two was accidentally deleted. We’ll cover two easy ways to restore any deleted app on an iPad or iPhone, either of these work and they’re quite easy, you can search by app name if you know the app, or look through your download list to find the missing app that way. This is a great trick for everyone, but should be particularly helpful for parents and educators, when it’s pretty common for a kid to have deleted an app or two by accident. So, don’t freak out if you or someone you know accidentally deleted an app from an iOS device, because you’ll have those apps restored to the iPhone, iPad, or iPod touch in no time. Let’s get right to it and get those deleted apps back! 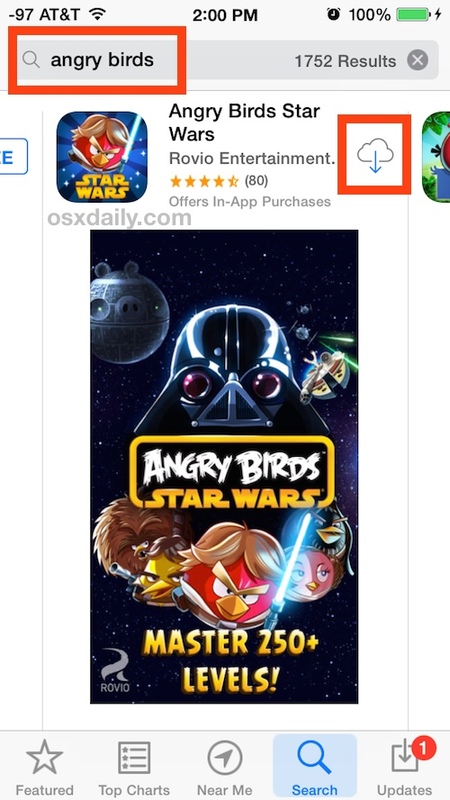 Here’s an example where restoring the Angry Birds app after it was deleted, note it’s the Star Wars version that was removed and thus you must find the exact name match from the search list – easy enough. Many apps also store data in iCloud so restoring them through the App Store like this will also usually restore their accompanying data – unless it was specifically removed when the app was deleted. That can also apply for games and Game Center scores, again, unless it was specifically removed as well when the app was deleted. Note: the iPad can go directly to ‘Updates’, whereas the iPhone and iPod touch needs to tap the “Updates” button and then “Purchased” the difference here is due to the screen sizes of the devices. On the iPad, things look a bit different simply because there is more screen real estate available to display buttons. Whichever method you choose, the app will redownload and reinstall itself. You will not be charged for redownloading apps that you already own as long as the Apple ID is the same that was used to buy it in the first place. If you see a price tag rather than the download cloud button, that’s usually a good indicator that you’re not using the same Apple ID, and if you see a price listed on the app name you would be charged. Worth mentioning is that iOS apps alone are not the only thing that can be recovered and redownloaded easily. This easy restore method will also work with iTunes Store purchases like music, movies, and TV shows, and on the desktop side of things, apps that were acquired through the Mac App Store as well. Note: you must be using the same Apple ID to redownload the app without getting charged again. Of course, free apps are always free to download, but you won’t find them in your app history which is what this trick relies on. The same menu lets you install apps that aren’t on the phone or ipad too. How do you do this on iPhone? I don’t have the ‘purchased’ menu in the app store. You click ‘Updates’ – and then the ‘Purchased’ button is at the top. This doesn’t restore data associated with the app though, does it? That still leaves plenty of reason to freak out. Do you mean that if I delete Angry Birds and reinstall then all my stars and scores will be back? I will try this out. Where is my water has a separate option to store your progress in icloud, probably to sync between devices (at least Im using it to sync between ipad and ipod). There are some apps which let users choose whether the app data is stored in the device itself or into the iCloud, say ‘SoundHound’. In ‘SoundHound’, there’s an option for you to choose to save history and bookmarks by using iCloud. I guess what ‘SoundHound’ does is that they let the user choose to store the app data up in the cloud. Now, let’s say you have an iPhone and an iPad, and both use the same Apple ID and have installed ‘SoundHound’. If you enable to use iCloud to save the tagged songs and bookmarks, no matter which device you use to tag the songs, the tag history and bookmarks will both appear on your iPhone and iPad (as you use the same Apple ID on both devices and the data is stored in the iCloud). So I guess ‘Where’s My Water?’ is doing the same thing. What about the in-app-purchases? I tried it 2-3 times and I did not pay for the repurchase of the in-app options. Does this work for apps that are no longer available in the App Store? It did not when I tried it last year. What about an app that has downloaded files in it? Our download manager has disappeared, along with all the downloaded movies. Can we get this back? I synced my iPad with my computer and several apps disappeared but are on cloud. When I re-installed my password manager (1password Pro), all the data has disappeared. Can I retrieve it ? Before this i already purchase garmin for my iphone 4s from app store. Suddenly i accidentaly deleleted this garmin apps.. I never back up all this to my pc..
No, if you bought it already and use the same Apple ID, you will not be charged again to redownload any app. i accidentally deleted my old fb app on my iPhone 3g. Now i cant download new fb app as it requires ios 4.3. How can i get old app that will work on my old phone. Any suggestions??? I have accidently deleted my calendar and not sure how to add it back – any suggestions? I deleted an app then realised I did need it. It was a purchased one. When I follow the instructions above the app does not show in the not on this iPad button. When I find it in the purchased section the button is greed out and says installed. No cloud button for re-install. I can’t even buy it again as it is showing as installed. Jennifer I have this problem too. Help someone!!!! Deleted 4od but cannot reinstall as button greyed out. Help!! I’ve accidentally the star maker app, and after re-installing, every songs I purchased is gone….. What should I do?? See this is how mad I am I can’t even spell anymore. I meant deleated!! My daughter fiddled around with my pass code for iPhone. Afterwards it automatically reset and I lost all my apps and email settings which is done thru my corporate account. Is there any way I can restore my iPhone to the old settings including my contacts and all other apps? Pls help. After I reinstall a deleted app, I can run it from the search window, but it didn’t reinstall the icon. How do I get the icon back? Sorry, this is a question for iPhone. Thank you SO much!! My daughter deleted my favorite app which is no longer available in the same version and I don’t like the new version. I was thrilled to know how to get my app back! I am using an IPod 7.0 and deleted the old version of Words with Friends. The Words 2 isn’t able to be installed since you need 9.0 to run it. Is this similar to your situation ? and how did you re-install it as it is no longer in the app store. Any help would be appreciated. Thanks! I have accidentally deleted my contacts icon(Folder) from i phone 4s .How can Back on screen.Please suggestions me ? I was able to recover the app however it was the newer version and my data wasn’t there. Is there anyway I can recover the data. What if you deleted an app but don’t know which one it was because you know where it was on your screen but don’t remember what it was? Often I accidentally police apps on my phone is in my pocket. Often I accidentally delete apps and iPhone is in the pocket. Is there anyway to find out what I deleted? I DELETED AN APP BY ACCIDENT, CAN’T REMEMBER WHICH ONE!! IS THERE ANY WAY TO LOOK IT UP?? I had to delete an app (Hot Schedukes) as it stopped syncing with my calendar. ‘Help’ mentioned to delete and reinstall, after other “fixes” failed. This is the second time in the past year I’ve had to delete the app. And again, just like last time, the app is charging for the reinstall. I paid again last time. But not again. Yes, I’m using the same Apple ID. I have had only one Apple ID ever so… What gives?? My son deleted itube by accident on his iPod touch. 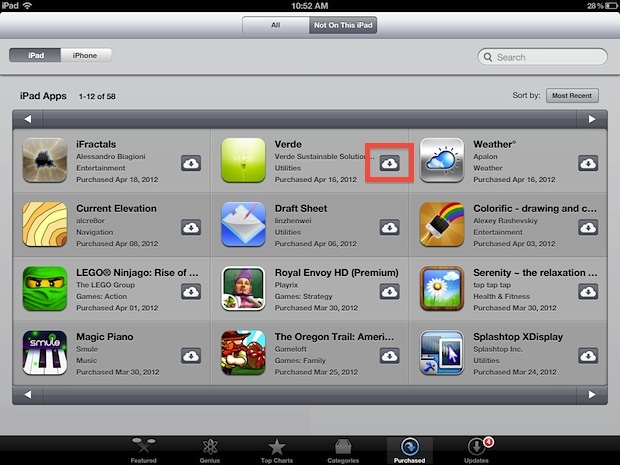 It isn’t in the purchased app section… I searched the App Store but it is a different version of the app. How do I get the old one back? A few apple apps disappeared from my phone (5C) like the camera button, weatherzone and others including the apple store and that is the reason I cannot recover them. I believe my nephew accidentally deleted them. Has this happened to anyone? How do I recover any app if I don’t even have the apple store???? I accidentally deleted an mileage app on my iPhone, I got the app back but how do I get the plots data back? Thank you! I deleted an app to get rid of the documents and increase storage space and intended to reinstall it from the app store, but it wasn’t there. It says no longer available in US. I was able to transfer it from a backup on my laptop. Why did you delete minecraft if you didn’t want to delete minecraft? Re-download Minecraft to restore it, it’s that simple. And who uses ALL CAPS to talk? With a million question marks? Get it together, Ashley, no wonder your parents deleted minecraft from your iPad. Wooopsie Daisy please don’t be so judgmental. You could be talking to a 9 year old girl and just crushed her sense of self worth. If you were a mum you’d know how easy that is to do to a child. She didn’t swear or carry on like a turd. Kids are expressive and on a keyboard is no different. Sometimes apps auto-uninstall because of lack of space. You’re making assumptions that her parents deleted it and could create repercussions on her family life (even if she says nothing to them about it). Please be more considerate of others who are obviously younger. Not all expressive kids are turds. And by the way, my child just accidentally deleted Minecraft which is why I’m here trying to figure out how to reinstall it because the download cloud isn’t next to the app. It asks for the $10.99 again. Remember that life is rarely black and white, and it’s good to put yourself in another’s shoes once in a while. How do I restore deleted apps that come with the iPhone eg health, camera, colander etc? PLEASE HELP ME!!! These instructions do not work for me. My wife uses the NY Times app on her iPhone5. Due to problems with her iTunes account (since resolved), the Apple phone operator told her to eliminate all non-Apple apps, including the NYT, which she did. Now that the iTunes issue is resolved, we tried to reinstall her NYT app from the Apple store. Of course, we found the NYT app easy enough, but there is no cloud or buy option displayed. I clicked on that space anyway, but all we get is an unclosed circle that continuously turns (not the updating wheel). We are having the same problem on all the non-Apple apps. i accidentally deleted all my iphone apps..my iphone is still locked from a network provider..my phone send from canada and im frm phillipines..how do i retrieve my apps without using sim from canada? When I go the APPS app to download them again (again, opening from the search function) it shows them already downloaded??? I had a couple of apps that were not working properly, so I deleted them. Now they won’t reload. I find the little cloud with the down arrow, and tap it; the download circle appears briefly, then the cloud returns, and nothing downloads. I’ve signed out of my app store account and signed back in. Doesn’t change anything. I’ve reset my iPhone; that didn’t change anything, either. These are apps I depend on, and I really need them back on my phone. What do I do now? Make sure you have sufficient storage space on the iPhone to hold the apps, if there is not enough room they will not download. Also be sure the iPhone is on a good wi-fi connection. Rebooting can help sometimes. Hold power button and home button until you see the Apple logo. if you accidentally deleted all the apps (i dunno how to do that myself lol) your safest bet to recover everything is to wipe your device completely clean by doing a factory reset and reload it from your last iTunes sync backup file. Hopefully no additional iTunes or iCloud synching occured AFTER the accidental deletion and by restoring with the latest backup file. you should also be able to regain/retrieve the files you saved under each app. I accidentally deleted my reminders app that came with my iPhone. I still can’t figure out how to restore it. I can’t find it in the App Store. You can’t delete stock apps in iOS, you probably moved it into a folder. Use Spotlight to find it. Seems like the Windows apps/data are a whole lot easier to manage. This is so tedious and “iffy”. I had the same issue as Kathy! I go thru the directions bit as soon as I hit the cloud icon it flashes to the downloading icon then instantly right back to the cloud icon.ive tried over & OveR with no luck.someone plz help me! The App Store app was accidentally deleted on my iPhone 5s. Is there a way to recover it? You got a new iPhone, you should call Apple and let their official support walk you through what you describe. They are paid to help you, whereas this is a free website. Don’t have a Google play store app it’s gone. Can’t download help. I’m going to the flip phone again. Everything says open play store there is none!!!!! i am not an android user but when i tried out Galaxy to see the difference vs. iOS. i was also having issues with Open Play Store and wasn’t able to load any money onto that account or purchase apps. I also don’t like how you can have multiple user accounts on the same device it doesn’t make me feel secure regarding privacy since the device was getting my friend’s new email notification when they added their account onto my phone for games. it depends on what you got use to first. For me I had my iPhone first then 2 years later I had the Mac than i added the iPad so now everything is Apple for me. In 2016, the purchased tab is at the top of the screen. But once I realized that, I was good to go. How did you get back icons that came with the iPhone ? I’m doing this on my phone with GarageBand, but it’s been on it and there is no cloud icon nor is it on the purchased menu. that’s one of the default apps that came with the factory setting on the iPhones right? I don’t think there is a way to redownload it as they also come in a packaged deal and not individual apps. (Numbers, Pages, iTunes, iCloud, App Store, Notes, Calendar, etc). you have the option to delete individual default apps easily, but to reinstall it I had to restore the phone from factory setting again. I rarely use the default Apps myself but created a Default App folder for the ones I don’t use in case to avoid complete factory reset just in case. Somehow my I phone phone appointment ( the green icon w the telephone receiver) has been deleted. How do I get that back. I can’t find it in the appointment store but I do find it under Siri. I can open under Siri but I can’t transfer it back to my main screen. Help!! I’ve just realised the secret calculator App I had on my iPhone 5c has disappeared. I can only think it disappeared when I did a factory reset about 6 weeks ago? Everything else is there, but this one App. How do I retrieve the photos back that were in this? I’ve retrieved the App, but, it’s empty? Please help! there is no “purchased “that I can find , anywhere in the App Store. Same as Jody above….no ‘purchased’ to be found.